UC 2013D2 Industrial Ultrasonic Washer is a robust station on wheels, designed to wash and restore medium-to-large-sized parts. 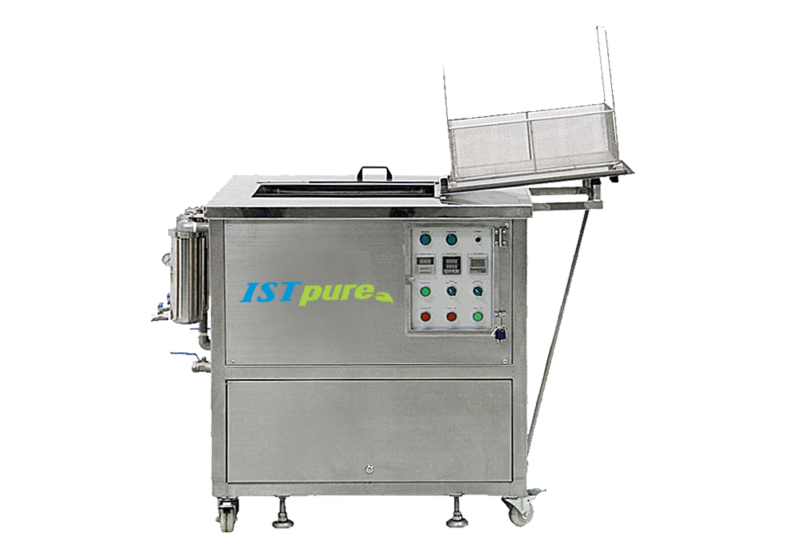 Washer has two 23-gallon tanks to immerse 2 different batches of parts while its powerful ultrasonic pulse system cleans them inside-out, including cavities and hard-to-reach blind holes, all with minimum effort from the operator. Washer also comes with dual cartridge, surface skimming filtration system and overflow tank.